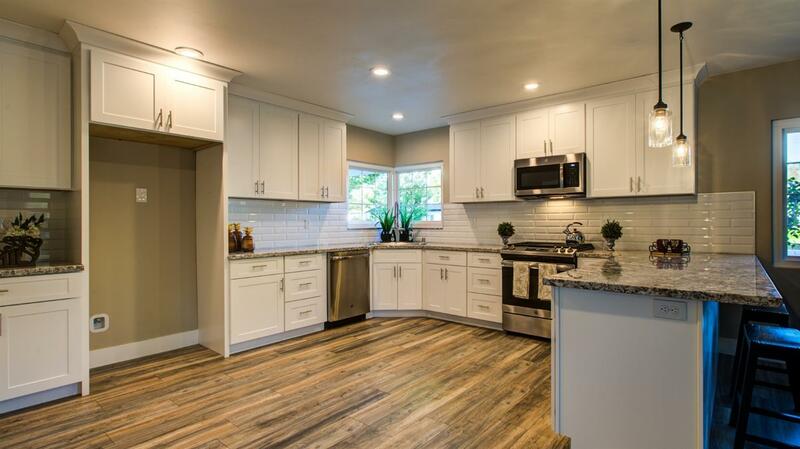 This elegant single-story home is nested in a desirable Lodi neighborhood. The open floor plan offers large, yet cozy living spaces to host gatherings for your family and friends. The Buyer of this lovely home will enjoy being the first to use the brand new stainless steel appliances in this gourmet kitchen. And, with ample cabinets for all your kitchen doodads, there's plenty of countertop space on the gorgeous granite countertops. Just off the kitchen, you will enjoy the walk-in pantry, large storage closet, and indoor laundry. With separate family and living room spaces, maybe some members of your family will enjoy watching a game in one room, while others cozy up together around the fireplace in the other. The master bedroom offers a celebrity-sized closet, and beautiful master bath with dual sinks and opulent shower. This home was lovingly cared for through the years, and was thoughtfully remodeled with you in mind. We welcome you to come preview this elegant home today.